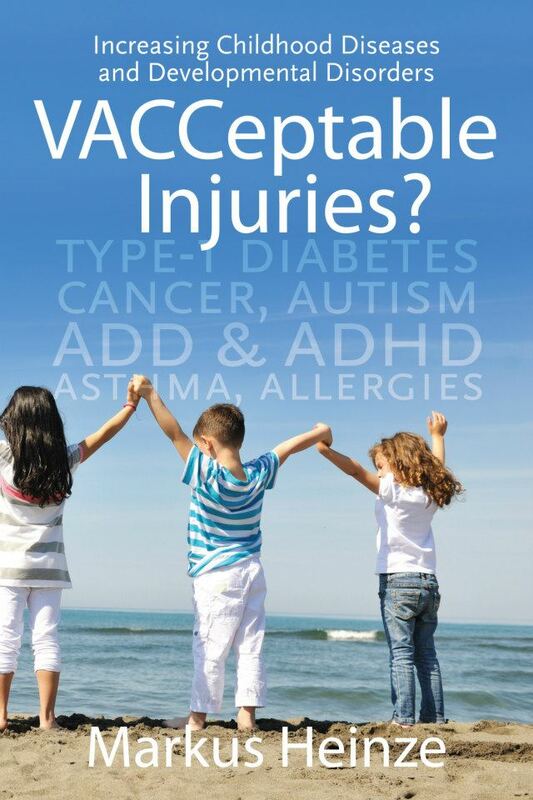 Using a highly personal approach, VACCeptable Injuries: Increasing Childhood Diseases & Developmental Disorders educates parents about the scientifically-documented risks involved in vaccination. Author Markus Heinze speaks from traumatic personal experience, as the father of a vaccine-injured child. His daughter developed type 1 diabetes, an autoimmune disease, at the age of three-and-a-half-years old. After much research in scientific journals and federal databases, he has concluded that a Hepatitis B vaccine, administered shortly after her birth, is to blame. According to the author’s research, tens of thousands of children are severely injured, or in some cases, killed by their exposure to vaccines. Targeting parents and health professionals, VACCeptable Injuries draws on verifiable databases and peer-reviewed research to make its controversial claims. Heinze is aware that many will try to discredit his work, given that he is not a doctor or a scientist. With a bachelor’s degree in psychology and a master’s degree in education, he is equipped to analyze scientific claims of experienced researchers who have been investigating the connections and correlations between vaccinations and the development of childhood autoimmune disorders, such as type-1 diabetes. Through his academic research, he has discovered that vaccines pose an ongoing danger to our children. Heinze’s book is a good choice read before doctors and nurses approach your family and newborn bundle of joy with a vaccination injector in hand. What lies inside the hypodermic needle is a potential mix of neurotoxins and other reactive chemical preservatives that will challenge an infant’s fragile immune system to its core. As the author reminds the readers, most parents wouldn’t take a chance on a car seat or formula without first consulting the literature or their friends. Yet when we cede ultimate authority over vaccinations to our pediatrician, we throw a far more consequential decision into another’s hands without having personally done the requisite research. This book will help parents make a proactive, informed choice no matter what their ultimate decision may end up being. Drawing on his research and his anger over his daughter’s illness, the author writes with passion about a topic of vital interest to families everywhere. Cogent and comprehensive, VACCeptable Injuries will transform your understanding of vaccines and pediatric medicine alike.